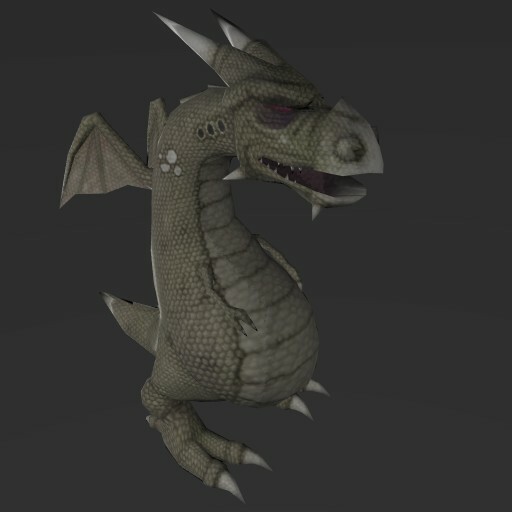 It's a dragon I made with Blender & Gimp a long time ago (2005?). I've just removed some useless triangles & checked that it's still working with a recent Blender (2.76). The model has 2250 triangles, and some animations (walk, attack x 2, idle x 3, sleep, die...). This is a great looking animated model, and "just works" in jMonkeyEngine.